Life isn’t about the destination, it is the journey, or the ride that matters. 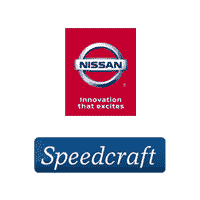 The 2017 Nissan Murano from Speedcraft Nissan in West Warwick will get you to whatever destination you have in mind, while giving you an unforgettable ride. The 1st row center console is extra-wide, giving the spacious-interior a lounge-like feel. 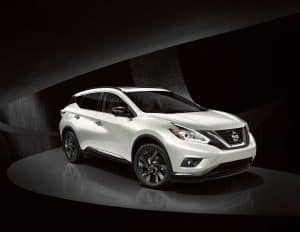 The 3.5-liter, V6 engine, with Xtronic CVT® transmission, comes to life with the available remote engine start system, and Nissan Intelligent Key® with push button ignition. Wherever you take the 2017 Nissan Murano, you are going to arrive in style and fashion. Stay protected in the 2017 Nissan Murano with Nissan’s advanced air bag system. The Tire Pressure Monitoring System (TPMS) with easy-fill tire alert and rearview monitor come standard with available Around View® monitor. Increase your safety with available Blind Spot Warning (BSW), Rear Cross Traffic Alert (RCTA), Driver Attention Alert (DAA), and Moving Object Detection (MOD). Keep your hands at 10 and 2 on a leather wrapped steering wheel with Siri® eyes free, hands-free text messaging assistant, and the Bluetooth® hands-free phone system and streaming audio. Show off your 2017 Nissan Murano with the package that matches your style best. The premium package includes eleven speakers, premium Bose® audio system, heated front seats, power heated outside mirrors, and power panoramic moonroof with one-touch open/close. The 2017 Nissan Murano Technology Package also has the moonroof, but comes with Intelligent Cruise Control (ICC), Forward Emergency Braking (FEB), and Predictive Forward Collision Warning (PFCW). Complete your ride with genuine Nissan accessories, including rear cargo cover and net, illuminated kick plates and interior accent lighting, or wireless smartphone charger. Expect your style to become exceptional in the 2017 Nissan Murano.